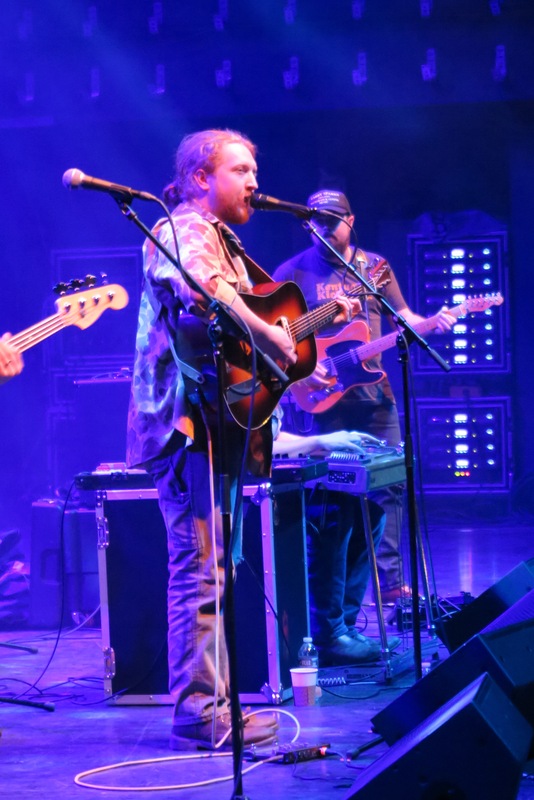 “Tyler Childers, country singer.” That was about all the information I had on the up-and-coming musician before attending Childers’ concert at Stage AE this past Friday night. The name and label I had been given seemed common enough, preparing me for a smooth voice, a pair of cowboy boots, and a combination of sad love songs and upbeat odes to small towns and denim-short-wearing girls. But as I listened to Childers’ debut album, Purgatory, throughout the night, I was confronted instead with a gritty croon, flannel shirt, and stories of Kentucky, whisky, and hard times. Childers was the perfect performer for a steel city like Pittsburgh; the singer-songwriter grew up with a coal mining father, and his voice and lyrics are Appalachia strong. Late Friday night, the line for Childers’ show wound its way around the block. Childers’ working class narratives and unique mix of folk, country, and bluegrass brought in an eclectic audience, from young couples and friends, to entire families, to older couples pushing their way onto the floor for a spot in the front row. The rising anticipation before Childers took the stage was nothing in comparison to the excitement and enthusiasm that met the singer as he began his set. He may be new to the music scene, but Childers already boasts a loyal fan base. Listeners young and old matched each song with their own renditions of the lyrics and whistled at their favorite lines. As Childers strummed the first few notes of his song, “Deadman’s Curve,” the audience erupted in shouts of recognition and rose to meet the opening lyrics, shouting, “You can go to hell my dear, you’d probably like it better there” as Childers smiled wryly. While Childers released an earlier album entitled “Bottles and Bibles” in 2011, his 2017 release Purgatory truly announces his emergence as a formidable musician with a carefully crafted sound. The narratives Childers weaves over the course of the album tell a story informed by his experiences growing up in Kentucky, shifting from a restless youth to a settled man. There’s an authenticity and honesty in Childers' lyrics that you don’t often see in the music industry. Childers knows who he is and where he comes from, unashamedly sharing the mistakes he’s made and lessons he’s learned. He’s not a flashy performer, but a storyteller that reaches out to the common man. The poetry of his songwriting is reminiscent of the early Irish songs that first came to Appalachia, but the interweaving of Childers’ modern experiences with drugs, moonshine, religion, and love make his brand of mountain music more current and relatable. There’s a dark humor to Childers' music, found in both the lyrics and the marriage of darker themed songs with foot-stomping rhythms. It’s hard not to let a smile creep over your face at the sound of the joyful fiddle in the background, even as Childers sings about his certainty in the existence of Hell or the time he showed up at his girlfriend’s house too stoned to get back home. Throughout the night, audience members laughed out loud and took to open corners on the floor to kick their boots and dance along. As a performer, Childers seems much older than his 26 years. He boasts a mature, clear voice and a mix of heartfelt, sometimes heartbreaking, lyrics. Musically, Childers isn’t messing around. 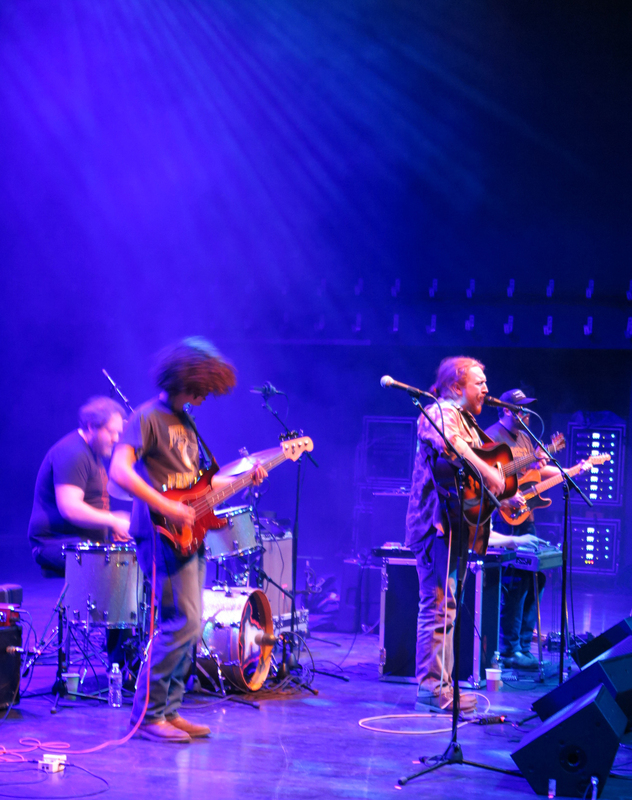 The band and the music itself are just as integral and finely considered as Childers’ lyrics. As he performed, Childers focused wholly on the musical experience, pouring emotion into his words and giving his band mates time to shine. The strength of Purgatory’s music and storytelling is due in part to the industry legends Childers has in his corner. Sturgill Simpson, the Grammy-award-winning musician, was impressed by Childers’ demo and offered to co-produce the album. With the help of his friend and acclaimed sound engineer, David Ferguson, Simpson brought together Childers’ band and helped Childers hone in on his craft. It seems that Childers has performed the seemingly impossible task of returning country to its roots, to a place of storytelling and pride that appeals to all. It’s a feat that translates well on stage as well as on the charts. Upon its release Purgatory took the top spot on Billboard’s Heatseekers chart, rose to number 17 on the Country chart, and number four on the Americana/Folk chart. For a debut album, Childers has accomplished the truly remarkable, and the authenticity of his sound guarantees continued success on the horizon. That mountain music sound carried the audience through the night on an emotional and enjoyable journey. Childers closed the show with “Lady May,” a timeless love song about a woman who brings spring into the life of a toughened man who promises to love her well. It’s an incredibly earnest piece reminiscent of summer and tenderness that led audience members to lean into each other and sing along. Before the show, I’d wondered what it was about Childers and his music that made his work appealing to so many different groups of people. As I listened to Childers’ near whisper of the closing lines of “Lady May” and watched the blue glint of the spotlight on the rapt faces of the audience, it became clear that Childers shares a portrait of America that we rarely get to see. One where people work hard and still have rough days, where people make mistakes on their way to true love, and where people are proud of where they come from and the faults they carry with them. When the lights came up and the crowds filtered out into the cold, it seemed everyone left with a smile on their face, whistling the fiddle’s tune and carrying Childers’ words out into the night. For my lovely Lady May"